On December 30, a truck driver emerged from a truck stop in Florida after having dinner and discovered that his semi-truck was totally missing its semi-trailer. That semi-trailer was filled with a half million dollars-worth of tequila. Ninety minutes later, per the Miami Herald, deputies of the Hillsborough County Sheriff’s Office found the semi-trailer 11 miles away. All 996 cases of Patron were present, though some were being moved to a box truck registered to the four Florida men doing the moving. Once deputies interrupted this process with 20 cases in the box truck, Fort Lauderdale resident Vidal Estrada, 66; Plant City’s Alberto Obaya, 46; and Mascot’s Humberto Ramirez, 37, gave themselves up. Clermont resident Lemuel Escobar, the youngest of the group at 35, ran. He made it less than 100 yards. 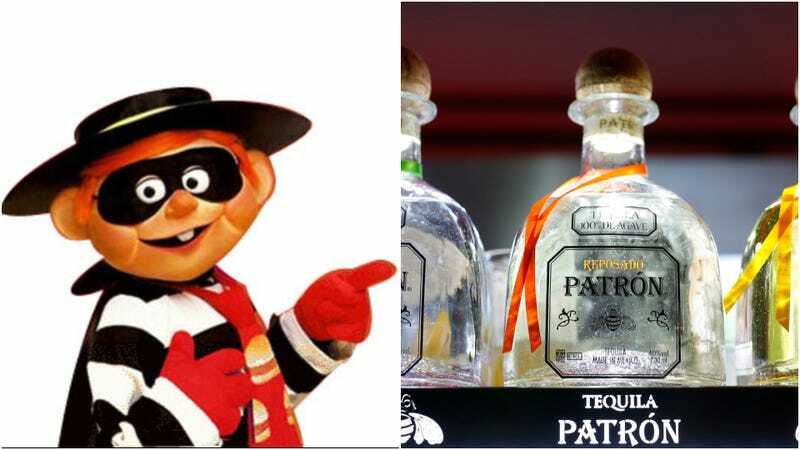 We at The Takeout have no expertise in tequila-stealing, or in semi-stealing, or in any kind of stealing, and we are absolutely not encouraging the theft of Patron, or any spirit, or anything. And yet, we have some notes. Say you plan a heist elaborate enough that you steal a semi-trailer while its driver is at dinner, leaving the semi-truck behind. That takes a lot of planning. Why not plan a spot to transfer the tequila to your non-semi-truck where you won’t be spotted by the cops? Speaking of, with a plan that elaborate, why not just plan a way to make the trailer look different? Maybe 11 miles isn’t far enough? If the plan is just to transfer it all to another truck, why not steal the whole thing to begin with? Would that have given you enough time to go, like, 12 miles? Also, maybe just plan a place to hide the semi-trailer? Then you could transfer it a few cases at a time? Okay, hear us out: You sneak into the back of the Patron trailer, and you close the door again. One of your three Florida buddies wait in your extra truck elsewhere in the parking lot. When the nice truck driver finishes his meal and gets back on the road, the truck follows. Then when he pulls over to sleep, you quiiiiiietly open the doors on the back and quietly move it all into the new truck. Then you quietly close the door and disappear. Like magic. Let us reiterate! Do not steal. Do not be stupid.